Russia’s efforts to get the deal signed suggest that events in Ukraine have had an impact. After more than a decade of negotiation, China and Russia finally have their gas deal. Although Russia’s overtures to China do not signify anything brand new in its foreign policy, the urgency for Moscow of finding alternative energy allies has risen significantly following the crisis in Ukraine. Although details are yet to be disclosed, it is highly likely that the deal offered more favorable pricing to China, given this has been the main sticking point historically. China now possesses greater leverage over Russia given the latter’s damaged international reputation after its actions over Ukraine and the reduced exclusivity of its energy offering. A need for Gazprom to move away from dependence on Europe as its key gas export market has strengthened as political relations have soured. The deal may cause alarm in Europe, but China cannot fully replace Europe given that Russia relies on the high prices and volumes the European market offers. The deal will, however, push Europe to identify alternative gas sources. The project with China involves building a pipeline to supply natural gas from fields in Siberia to China for thirty years. Details on the deal’s agreed price have not officially been disclosed. Russia originally wanted China to pay the same price as Europe does for gas, at $380.50 per thousand cubic meters. China refused. Since discussions began with Russia, China has found alternative partners, most notably Turkmenistan. They supply China with gas at a much lower price. As discussions went on, time began to run out for Russia. It is likely that the deal involved concessions to China to prompt it to sign, particularly given that over the last ten years, China has strengthened its position in the gas market. China has funded and built a pipeline system supplying itself with gas from Turkmenistan via Uzbekistan and Kazakhstan. In March 2014 China agreed to add a fourth branch to this system running through Tajikistan and Kyrgyzstan. 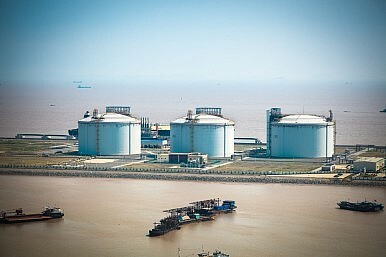 LNG projects due to come online in Australia, and the prospect of LNG exports from the U.S. and Canada, give Beijing additional options. And for the long term, China is beginning to explore its own shale gas resources. Russia’s authority in the gas deal discussion has diminished in light of events in Ukraine. The discussions that clinched the deal were unlikely to be on equal terms. Moscow’s fomenting of separatist activities in Crimea and Eastern Ukraine is a cause for concern in China, as it struggles with its own internal movements for autonomy or independence in regions like Tibet and Xinjiang. Further, Russia’s use of gas supply as a geo-political pressure tool on Ukraine raises questions about its reliability as a supplier. Events in Ukraine have also altered attitudes in Europe, Russia’s most significant energy market. Gazprom’s share of the European market reached approximately 30 percent in 2013, an increase from the previous year. The threat of sector-focused sanctions from the U.S., aimed at Russia’s energy industry, has intensified Russia’s desire to look elsewhere. The deal with China may cause initial alarm in Europe, but China will not fully replace Europe. The 38 billion cubic meters it plans to export to China as part of the deal is small compared to the 161.5 billion cubic meters Russia sent to Europe in 2013. Moreover, any concession China won on price will keep the more lucrative exports to Europe that much more attractive. Russia still relies heavily on its earnings from Europe, notwithstanding the drop in European demand for gas over the past three years. Russia’s turn East does mean, however, that Europe should examine with greater urgency its own diversification of gas supply. The effects of the deal are significant but do not reflect a zero-sum shift in China’s foreign policy. China has often taken a cautious approach to its partnership with Russia and will not wish to alienate other beneficial relationships in Moscow’s favor. Russian representatives close to the deal have been much more vocal about a breakthrough compared to their Chinese counterparts, who have been consistently more skeptical as to whether both sides could reach an agreement. There were also practical reasons for China to sign the deal with Russia. China’s government has plans to cut coal-burning power plants in a bid to tackle its huge air pollution problem. In April 2014 China’s government set a target of 420 billion cubic meters of gas per year by 2020 to be part of the energy consumption mix, as it diversifies away from coal and demand increases. There is a gap in its gas supply market that needs to be filled. The signing of a gas deal between Russia and China is a milestone, but the secrecy surrounding the pricing makes its exact impact unclear. The speed with which Russia has turned to China to cement relations over a deal that has stalled for so long does demonstrate the substantial impact events in Ukraine have had on Russia’s global outlook. Russia wishes to distance itself from Europe but has lost some status over its involvement in the Ukraine crisis. China is a willing partner, but now has the upper hand. Improved Sino-Russian relations are positive for Russia, but China is likely to continue to proceed with caution. Sarah Lain is a research fellow at the Royal United Services Institute for Defense and Security Studies. Increasingly isolated by the crisis, Russia is looking East for new energy markets. China, Russia Try to Brave Economic Headwinds Russia-Vietnam: Cooperation in the Arctic?Can Europe Fill the Gap in China-Russia Relations?Russia Takes Turkmenistan To Court Over the Price of GasWill China Bail Out Putin?